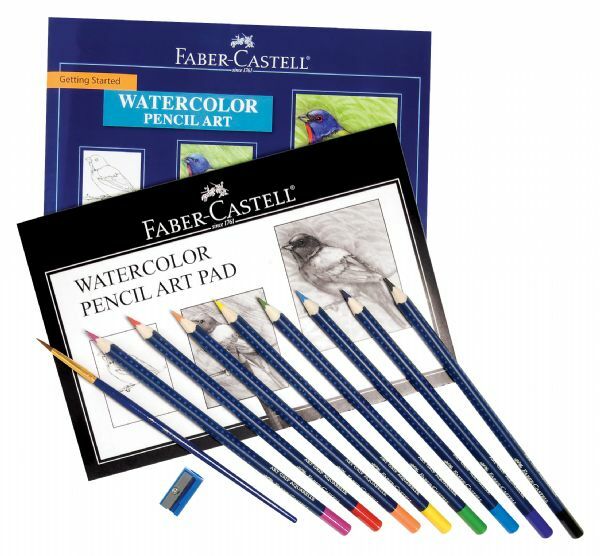 Materials tips and techniques to learn about the art of watercolor pencils. * Kits come complete with everything you need from instruction manuals to supplies. * Great for beginners to introduce them to fine art. * For students artists and hobbyists ages 12 and over. 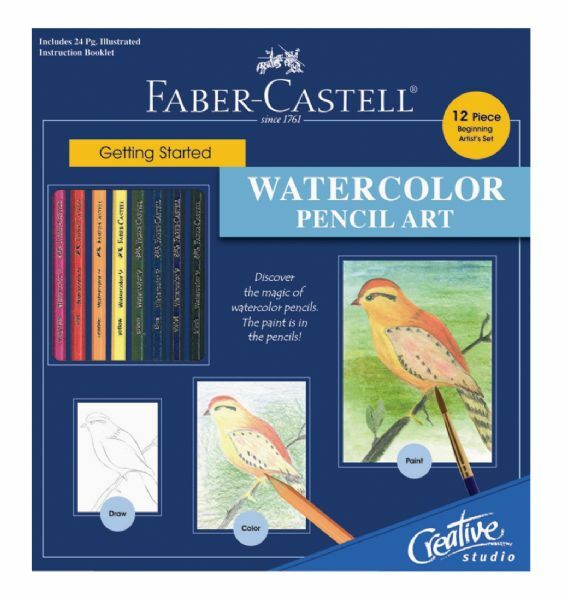 * Set includes: 8 watercolor pencils (red yellow blue orange violet green magenta and black) 8"x5-1/2" 15-page watercolor pencil art pad watercolor paintbrush pencil sharpener and instruction booklet.